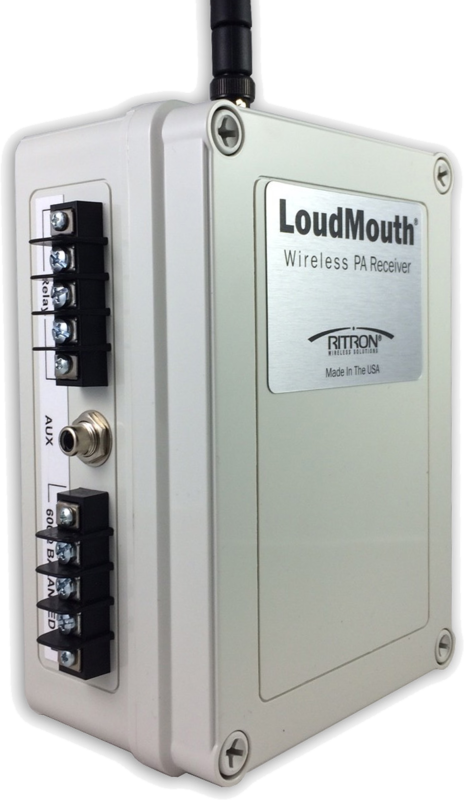 The LoudMouth wireless PA system is an ideal solution anywhere a hard-wired PA is either too expensive or is simply impossible to install. Get your message to everyone . . . from plant-wide to small pinpoint areas to multi-building campuses using your business band portable radio, base station, or radio callbox. It even works with radio repeaters for extended coverage. Position independent wireless receiver/PA speakers anywhere you need them. 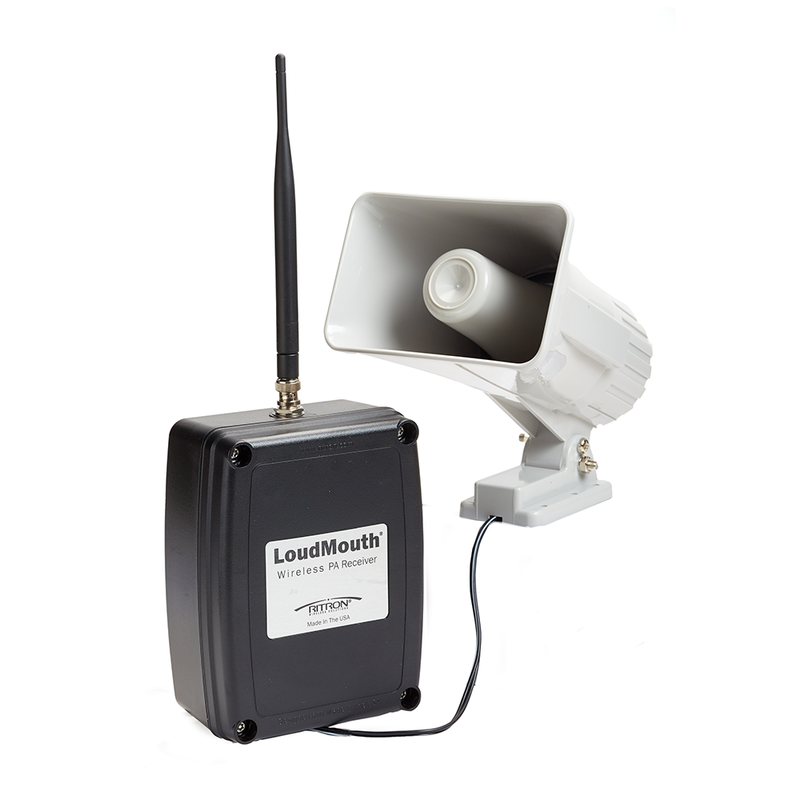 Wireless technology provides a cost-effective and flexible way to provide Public Address and Mass Notification coverage across your entire facility or to isolated pinpoint locations. The Radio-To-Intercom Bridge receiver is designed to interface to an existing wired Public Address Intercom system and allow PA or intercom announcements using VHF or UHF LMR business band or VHF MURS 2-way radios, even works through radio repeaters. Analog and DMR Digital models are available.